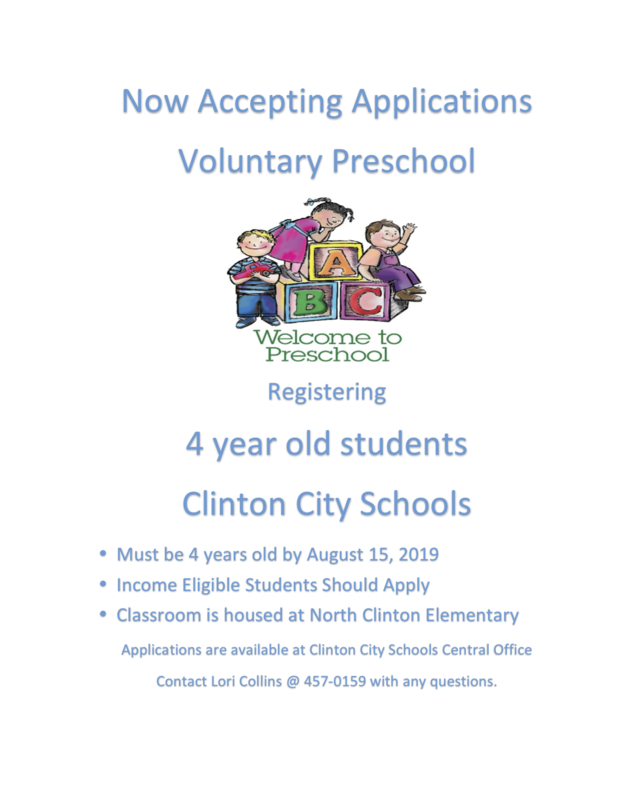 The Clinton City School District is now accepting new student transfer (non-city residents) applications for the 2019-2020 school year. 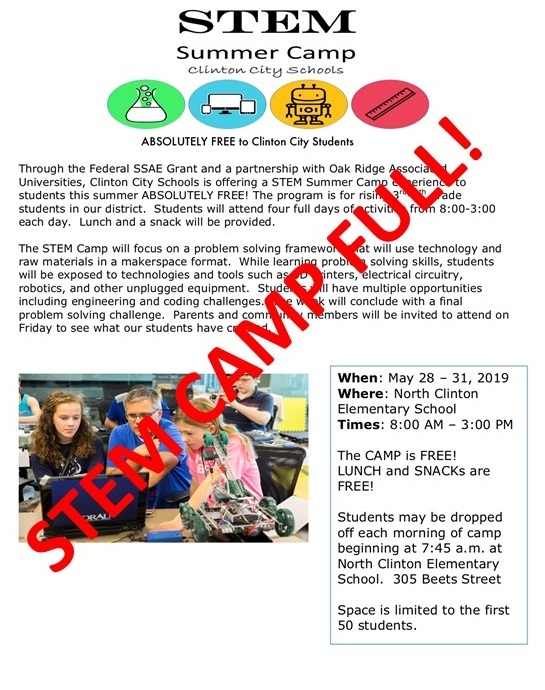 Requests must be submitted to the Office of Student Services, City City Schools Central Office, located at 212 North Hicks Street during regular business hours, 7:30 a.m. to 3:30 p.m. Applications are considered based on space availability and programming. There is a one-time non-refundable $25.00 fee due at the time of application. No application will be considered without payment. Parents or legal guardians will be notified of status no later than August 1, 2019.